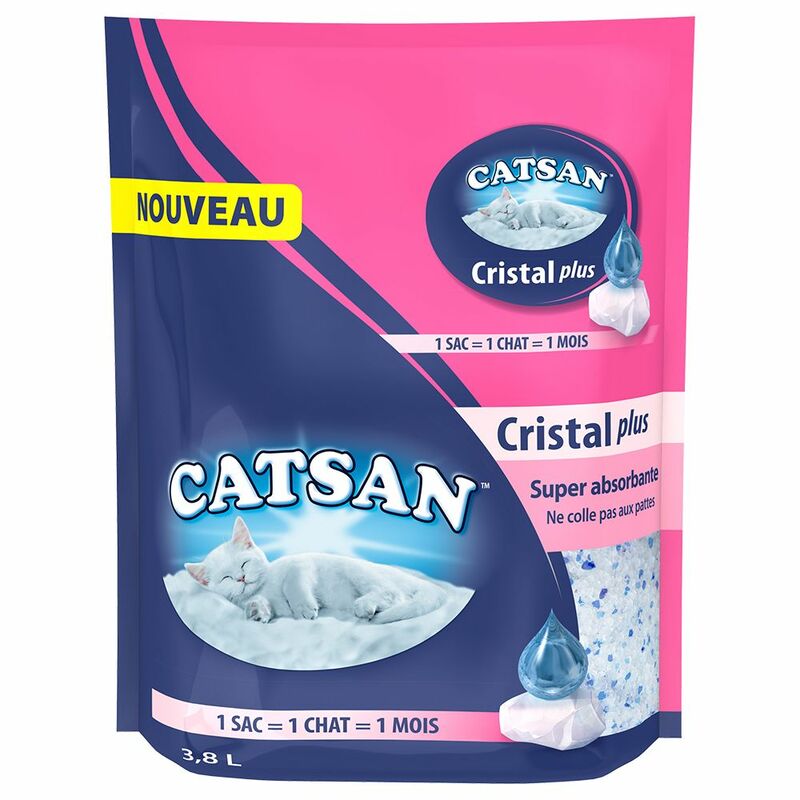 Catsan Cristal Plus Silica Cat Litter recognises that cats love the feeling of a fresh, sanitary litter box, because they prefer to be clean. This Catsan cat litter is made with silica crystals that can soak up liquids quickly, so that everything is absorbed before odours develop. The liquids and moisture are effectively locked into the crystals, which prevents bad smells from forming. Because this litter is so absorbent, the contents of the litter only need to be completely changed once per month. The litter is low-dust and unperfumed, and the texture is soft under your cat's paws, but unlikely to stick, so that no litter is tracked around your home. For this product: 1 bag = 1 cat = 1 month. Catsan Cristal Plus Silica at a glance: Premium cat litter suitable for all cats Pellets made from super-absorbent silicon dioxide crystals Effective absorption: absorbs liquids, with excellent odour-binding properties Only change the litter once per month Comfortable for your cat to use and very hygienic: no tracking, as the crystals do not stick to cats' paws Practical hygiene: better odour binding and long-lasting Low-dust and unperfumed Please note: If you have under-floor heating, please place an insulating mat underneath the litter tray to prevent the litter from warming, which can cause odours to escape. Price just £5.99! Click here to buy now!